Moorook is one of a series of villages and towns that encircle a group of lakes and lagoons that make up the Riverland region and encompass the Murray River floodplain and wetlands. Two and a half hours by car from Adelaide, these towns which include Berri, Renmark, Loxton, Waikerie, Barmera and Cobdogla, are all within half an hour of Moorook. 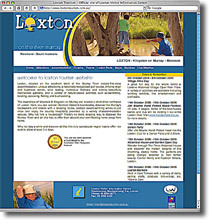 On the River Murray floodplain and encompassing a large open swamp known as Wachtels Lagoon, the Moorook Game Reserve conserves wetlands for conservation and management of waterfowl. Tall river gums and river box rise from the tangle of lignum fringing the lagoon. Reed beds protect the nursery areas or many waterbirds and provide homes for insects, frogs and small fish upon which egrets and herons prey. A nature trail wanders along the edge of the waterways. 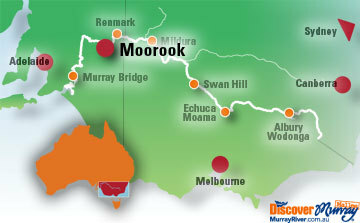 To get to Moorook, travel east on the Sturt Highway (sealed), then turn south onto the Moorook-Loxton Road (sealed) west of the Kingston Bridge. The park is 3.5 km along this road on its eastern side. Roads within the park become impassable in wet weather. Otherwise, they are accessible to conventional vehicles and caravans.